Custom MMIC has received BAE Systems’ distinguished GOLD Supplier award for 2018. As part of their “Partner 2 Win” Supplier Program, BAE Systems conducts a comprehensive annual review of all their key suppliers and brings the top performing suppliers together for an evening of appreciation and to acknowledge their outstanding support over the previous year. 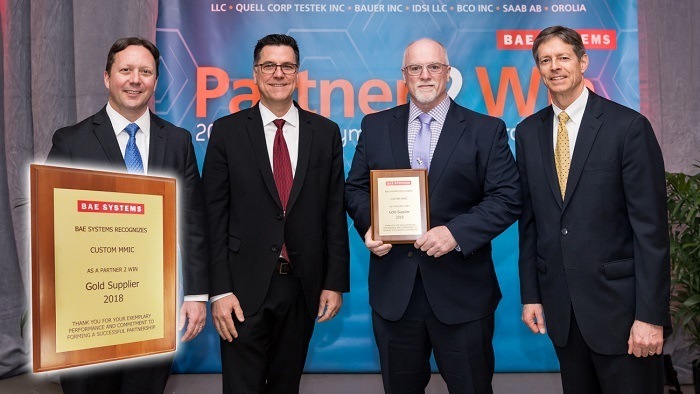 Dave Folding, VP of Operations, and Erik Sauve, Director of Quality, attended the Partner 2 Win Supplier Symposium ceremony held on April 2, 2019, and accepted the award on behalf of the Custom MMIC team. 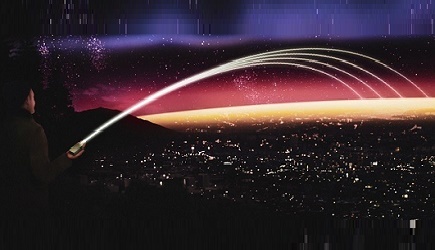 Since 2006 Custom MMIC has been recognized as a top-tier quality supplier of high-performance RF and Microwave MMIC products earning them numerous industry and top supplier excellence awards like the GOLD Supplier award from BAE.